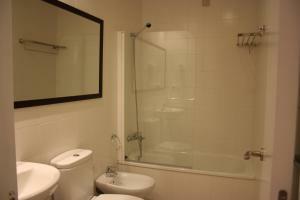 Great location, clean, nice apartments that have everything you need. great location,great terrace,apartment clean,air con great Me and 3 friends had a great time in Barbate and will be back. The location of the hotel was perfect. The apartment was big and clean. The stuff lady upon check in was trying to be helpful, but communication in English were challenging. 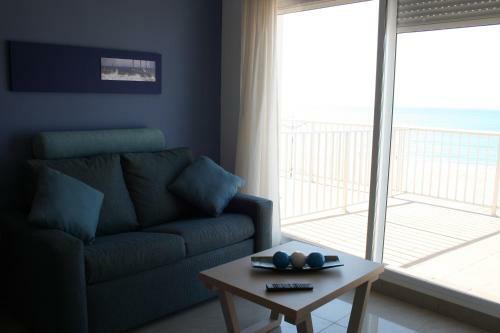 Seaview was excellent, clean bright building, receptionist very friendly, and helpful, well situated property , minimalistic but usefully furnished and clean towels and sheets. Lots of space, real beach view with no intervening road. Near restaurants but not next door so not noisy. Great apartments with perfect view of the beach and sea + huge balconies (front apartments). Easy check-in, check-out procedure and helpful staff. Fantastic location, great pool area with a view to talk about. Very close to the ocean and the great Beach promenade with Good restaurants. 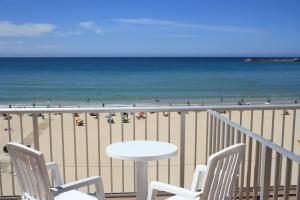 Lock in a great price for Apartamentos Playa Barbate – rated 8.3 by recent guests! 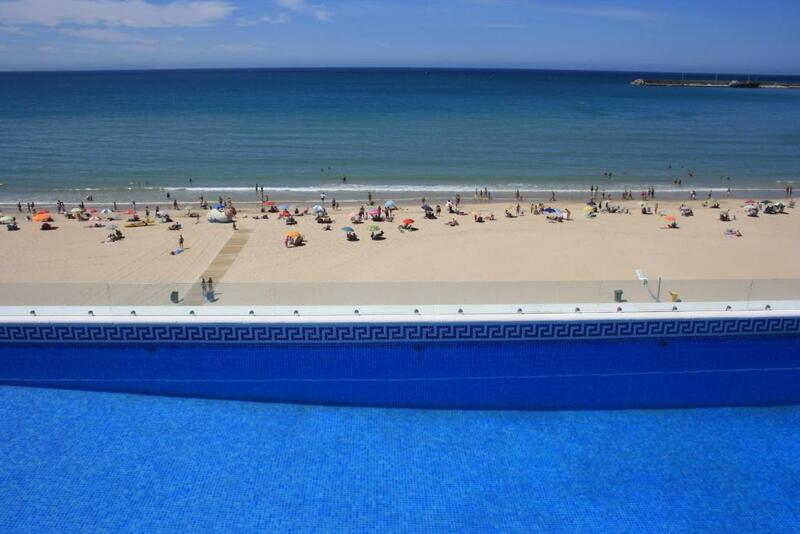 Apartamentos Playa Barbate This rating is a reflection of how the property compares to the industry standard when it comes to price, facilities and services available. It's based on a self-evaluation by the property. Use this rating to help choose your stay! 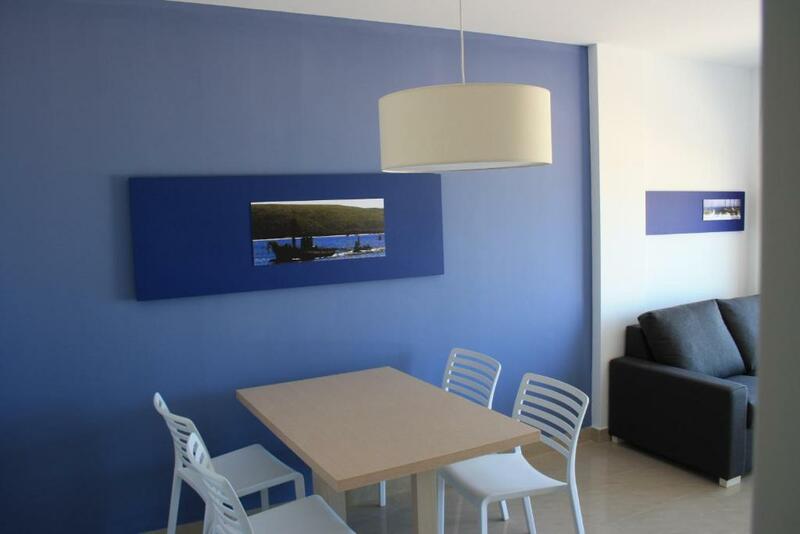 One of our top picks in Barbate.These modern apartments are located on the beachfront in Barbate, in pretty Cape Trafalgar. 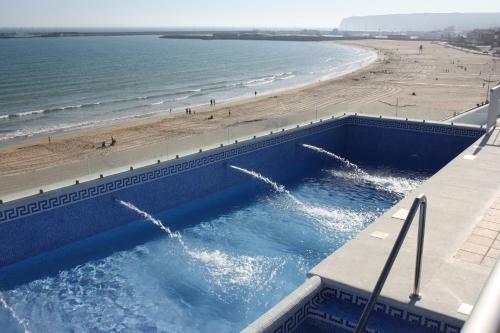 They have a shared outdoor infinity pool, free Wi-Fi and a private terrace with partial sea views. 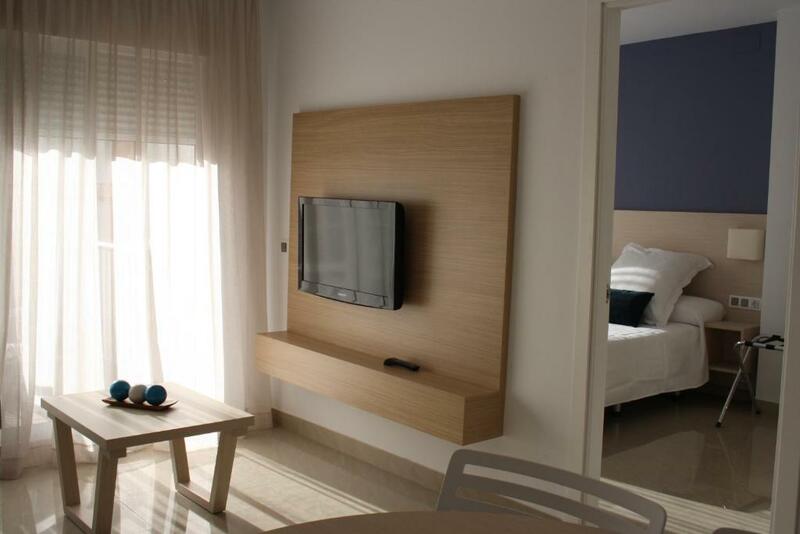 The bright, air-conditioned apartments at Apartamentos Playa Barbate feature a lounge with flat-screen satellite TV and a sofa. The kitchens include a hob, and microwave, as well as a coffee maker. 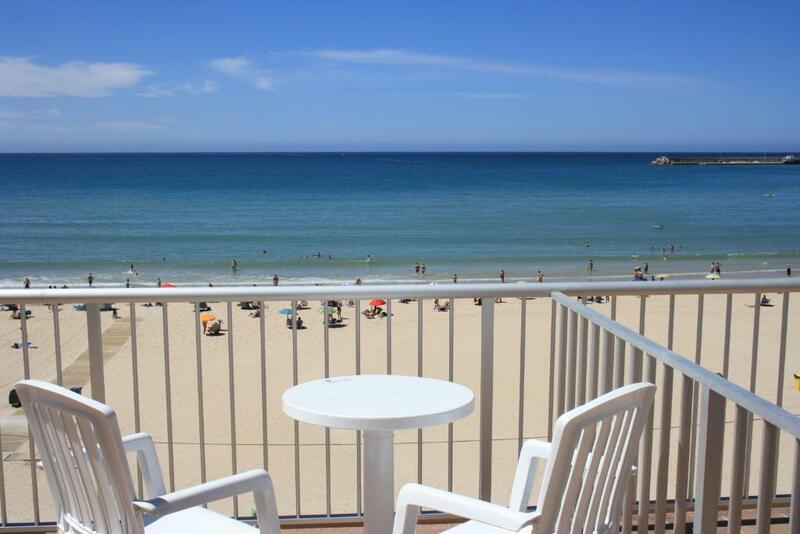 Apartamentos Playa Barbate has an on-site café-bar where you can get a drink, and there is a sun terrace. There are numerous bars and restaurants within a short walk in Barbate. This coastal town is popular for water sports, and the Breña Nature Reserve is nearby. The lively beach town of Caños de Meca is 15 minutes’ drive away, and you can drive to Cádiz in 50 minutes. 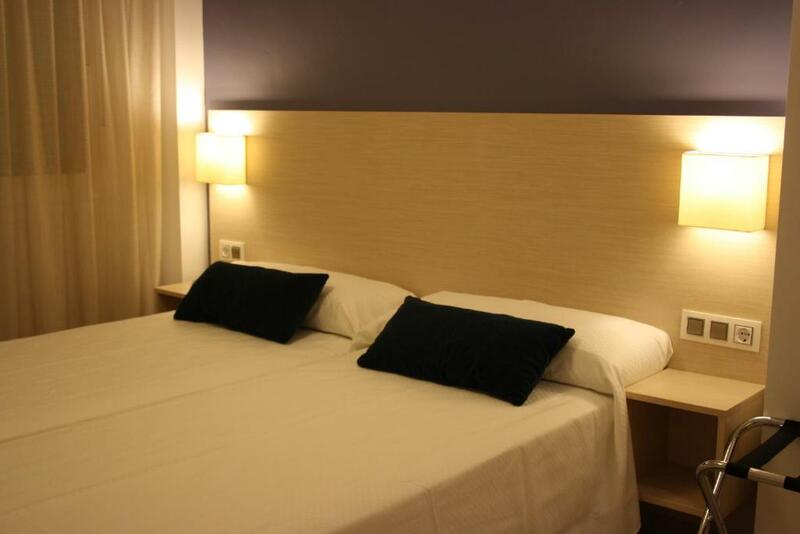 When would you like to stay at Apartamentos Playa Barbate? This air-conditioned apartment features a private terrace with partial sea views. It has 2 bedrooms and a lounge-diner with a sofa and flat-screen satellite TV. The well-equipped kitchen includes a ceramic hob, microwave and coffee maker. Located on the top floor, this air-conditioned apartment features a spacious private terrace with partial sea views. It has 2 bedrooms and a lounge-diner with a sofa and flat-screen satellite TV. The well-equipped kitchen includes a ceramic hob, microwave and coffee maker. Located on the ground floor, this air-conditioned apartment features a large balcony. It has 2 bedrooms and a lounge-diner with a sofa and flat-screen satellite TV. The well-equipped kitchen includes a ceramic hob, microwave and coffee maker. This apartment has a soundproofing, microwave and seating area. This apartment features a stovetop, washing machine and kitchenette. This apartment features a sofa, seating area and toaster. This apartment features a sofa, toaster and kitchenette. NUESTRO ESTABLECIMIENTO ES UN EDIFICIO EN PRIMERA LINEA DE PLAYA, CON COMODOS Y FUNCIONALES APARTAMENTOS. LO CORONA UNA PISCINA EN LA CUARTA PLANTA CON SOLARIUM Y MIRADOR. House Rules Apartamentos Playa Barbate takes special requests – add in the next step! Apartamentos Playa Barbate accepts these cards and reserves the right to temporarily hold an amount prior to arrival. Please inform Apartamentos Playa Barbate of your expected arrival time in advance. You can use the Special Requests box when booking, or contact the property directly using the contact details in your confirmation. The kitchen equipment is very poor small cups, no bowls for cereals, no kettle, no spatula.. Leak in the kitchen. No soap provided in the bathroom for washing hands. Not even a proper duvet on the bed just a sheet and blanket. Pool was locked then closed but the receptionists had just forgotten to open it so I spent the whole time waiting for it to open. Livid. wifi connection quite bad and slow. Also the main door to my apartment had very wide gap all the way round the frame, therefore light and noise coming through. We booked a beach front penthouse but got an apartment looking over a car park with a glimpse of the ocean. Apparently ‘penthouse’ means top floor only ( there were 10 on this level and 2 facing the beach which we booked and did not get). Basic condiments and more waste bags would have been useful. Parking around the apartment was a bit difficult due to the fact that it was the height of the summer season and the on-site parking was full. We were late due to a problem with our car and we really appreciated that the reception desk stayed open late to let us check in. The staff were really friendly and helpful. The location was fabulous, we loved waking up to the ocean view and being able to be on the beach and swimming in just a couple of minutes.